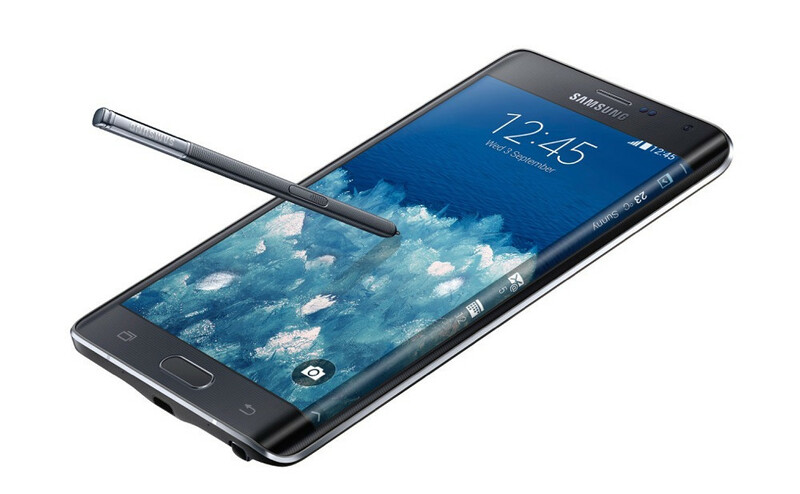 The Samsung Galaxy Note Edge appears to have successfully made its way to US carriers for purchase. Shocker, I know. Unlike its taco-shaped cousin, who enjoyed a brief stint in overseas markets before settling into its rightful life as a proof-of-concept, the Galaxy Note Edge apparently showed enough promise or received enough of a positive response to convince AT&T, Sprint, and T-Mobile that people might actually buy one. Actually, let me re-phrase that. The Galaxy Note Edge and its insanely high price tag, for reasons that have escaped our minds since the device was surprisingly unveiled on stage alongside the Galaxy Note 4, can be purchased by human beings at a couple of carriers who have lost their minds. T-Mobile is selling the Galaxy Note Edge today for $0 down and 24 equal monthly payments of $36.25. If you don’t feel like signing up for a payment plan, T-Mobile will gladly let you into the Note Edge for $870. If you want an even better deal (yes, that would be sarcasm), you can buy the phone from AT&T for $399 with a 2-year contract. They also have three device payment plans of their own, with monthly payments starting as low as $31.54. Oh, you could also buy the Note Edge without a contract for $945.99. But clearly, Sprint has the best deal of all. For $429.99, a 2-year contract, and your right hand, you can own the Note Edge. If you feel like keeping all of your limbs, you could opt for a monthly payment plan or buy the phone outright for $840. Verizon, at this time, appears to have kept its sanity and is not selling the Galaxy Note Edge. If you are dying to know more about the Galaxy Note Edge, here are plenty of pictures, videos, and specs. Update: Apparently this slanted thing has been available at AT&T for a while. T-Mobile and Sprint are the newest to get it. Who lined up this morning?!? !